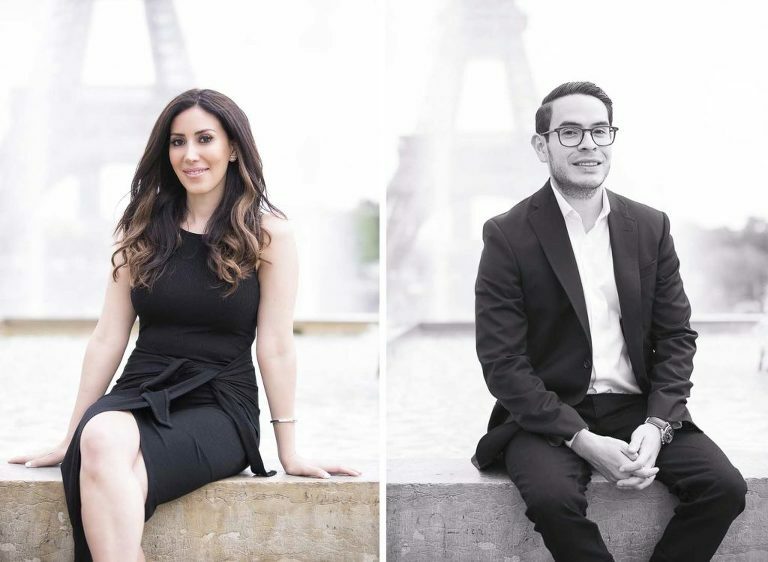 A few photographs from Patricia and Joe Engagement photo session at the Trocadero. 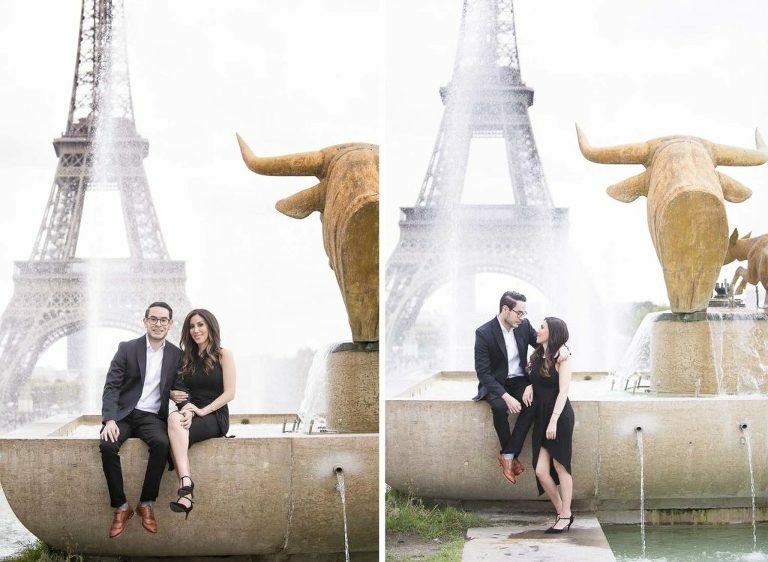 There are certainly more then one gorgeous location in Paris to have your engagement photos taken. It seems that the Trocadero area with the Eiffel tower in the distance is the number one destination for lovers in the city. 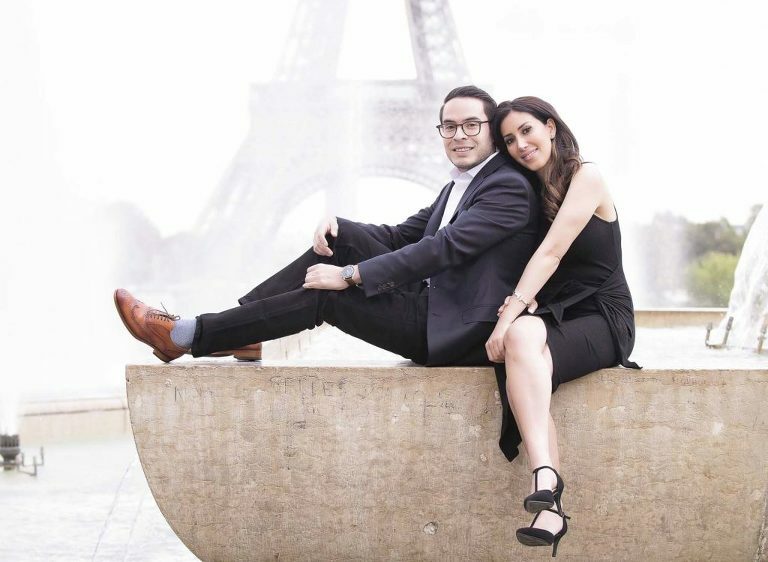 Patricia and Joe had 24hours in Paris before heading to the south of France. They had just arrived in the morning, rushed to the hotel to drop off their luggages so that we could take their engagement photos before lunch! We had an hour around the Eiffel tower; first time in Paris for the two of them. The day before they were in L.A and now enjoying the city of light, a little jetlag & quite excited to finally be in the EU. 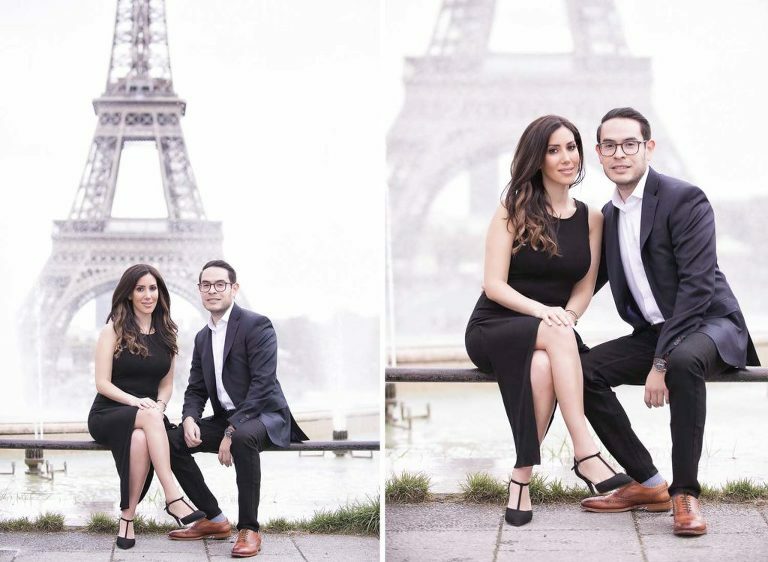 I sent them their retouched photographs the next day so that they could share their engagement photos with friends and family back home. It was a lot of fun. 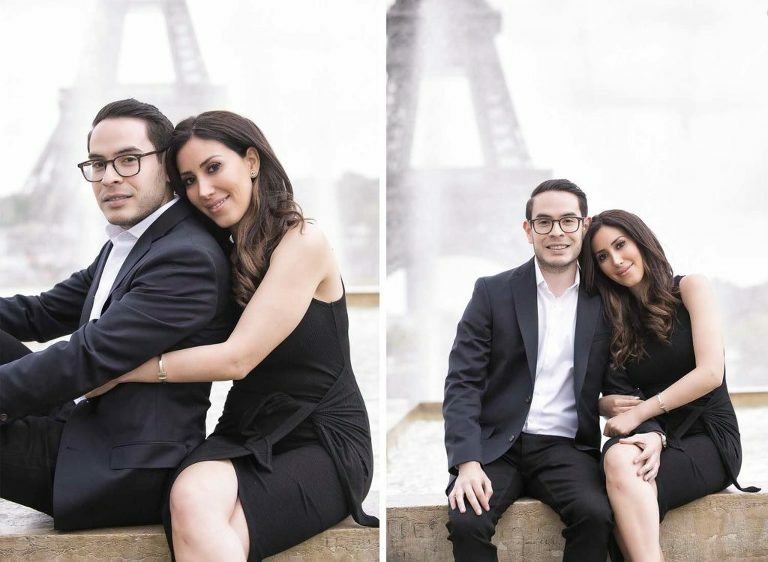 I would recommend if at all possible to rest the night before your photo session and possibly start a little earlier so that we have the morning light over the Eiffel tower which is a real plus. Having said that, they look great together. They are quite pleased with the result so am I. © 2019 Destination wedding photographer videographer Paris Normandy France|ProPhoto Photography Website|Design by Northfolk & Co.